On Thursday, April 5th, 2012 Hermetic Hour host Poke Runyon will present a discussion on the ancient divinatory art of Geomancy, which is a little known but very important part of the Hermetic magician's tool kit. We will review the history of the process, comparing it to it's ancient Chinese counterpart the I-Ching, and the Tarot. Geomancy is divination by the figures of Earth, but very much related to astrology. Most of our practical knowledge of the process comes from Agrippa's 16th century treatise, but it is far more ancient, probably dating back to the paleolithic. We will discuss our own unique reconstruction of the most ancient method, involving huckle bones (the earliest dice) and flourite crystals (the Biblical Urim and Thummim). We were recently surprised when one of our members on duty in Iraq informed us that the Yezidis were using something similar. Geomancy also figures in the medieval Grail epic Parsifal. 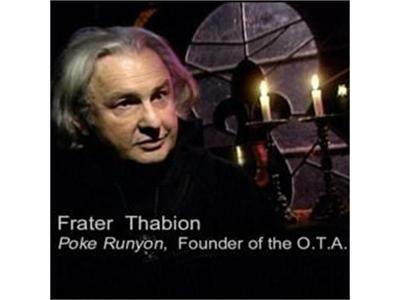 Tune in and find out about Western magick's own very ancient version of "casting the runes."